The Creation Kit (previously known as the Construction Set or CS) is a tool that can be used to view and edit the game's data files. It is a program that can be used to control nearly any aspect of the game or create mods, capable of adding brand new user-created game content, examining the game data and retexturing the game. On this page, editors may make specific Creation Kit information requests for use on article pages. Creation Kit Information requests should always pertain to content-related articles which need related CK information or need confirmation with the help of CK; this is not a place to request CK information for personal interests or problems. Before you post a request, please make sure the information you want can be found or checked in CK. If the information you want can be found or checked in game or in any other ways easily, do not post your requests here. Avoid making general requests, such as "Detailed information about loot of containers" or "A leveled list for Dragons in the wildness of Solstheim". 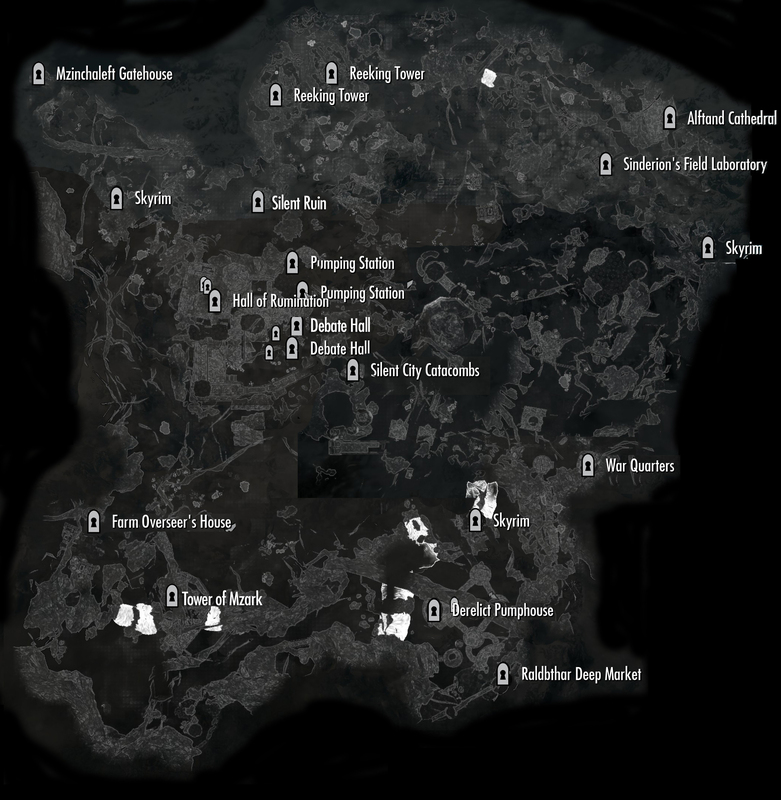 A better request would be more specific, such as "Detailed information about loot of knapsacks" or "A leveled list for the Dragon near Solstheim's western coast (close to Water Stone)". Try to keep requests brief, but if the subject matter isn't perfectly obvious, please explain your request by providing details, such as the detailed section of the article where the information will be placed or need confirmation. Please post your requests under the Information Requested section in a bulletlist format, and sign your post. Please add the most recent requests to the bottom of the list. If requesting some information for a game other than Skyrim, please specify the game in your request. If requesting multiple things for use on the same article, provide a link to the article page and related sections, group them into a list, and sign below the full list. If possible, please provide your in-game experience to help any potential contributors double-check their CK results. A leveled list for displayed bows in Fletcher. These bows may change with my level and one of them can reach Daedric quality at a high level. I can often get a silver ingot and one or more other ingots in return. If you fulfill a request, please strike out the request by using <s> at the beginning and </s> at the end, then write down your results you got in a user-friendly way directly below the request with your signature included. Do not add the results to the related page; the editor who requested the information should do this themselves. If possible, provide necessary links to CSlist, other knowledgeable editors can double-check your results or add more information in addition. In general, the editor who requested the information should remove the completed request. That editor should first add the results to the corresponding article before removing the request from this page. If the request has nothing to do with the CK or related information can not be found in the CK, anyone who is knowledgeable about the CK may remove this request, and a note should be given in the edit summary why the request was removed. Stewards, housecarls, followers, children and spouse, when and how do they set ownership with each bed in your Hearthfire houses. Creation Kit - Basic information about the official modification tools for the game. Image Requests - Specific image requests for articles can be made here. This page was last modified on 31 May 2017, at 20:04.